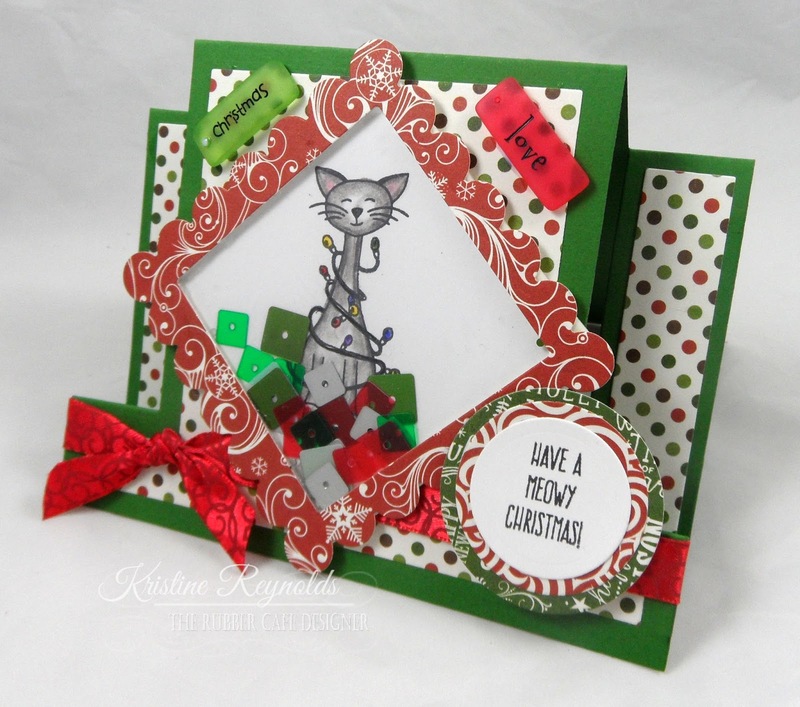 Kristine here today with my second card that I made with the October Kit of the Month Club. This month's kit called Creative Christmas! 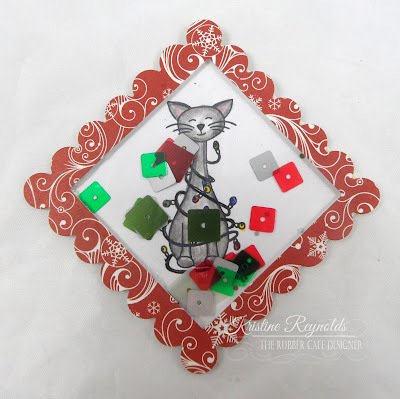 The kit includes Echo Park's 6x6 pad- The Story of Christmas by Designer Lori Whitlock, and tons of amazing ribbons and other embellishments. For today I used the kitty and sentiment from the add on set, Hearts of the Season. This is my center step shaker card! 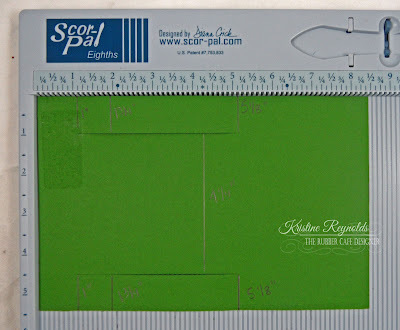 To create the card base I used my Scor-Pal and an 8 1/2" x 5 1/2" panel of green cardstock. I scored at 1", 1 7/8", 4 1/4", and 5 1/8". 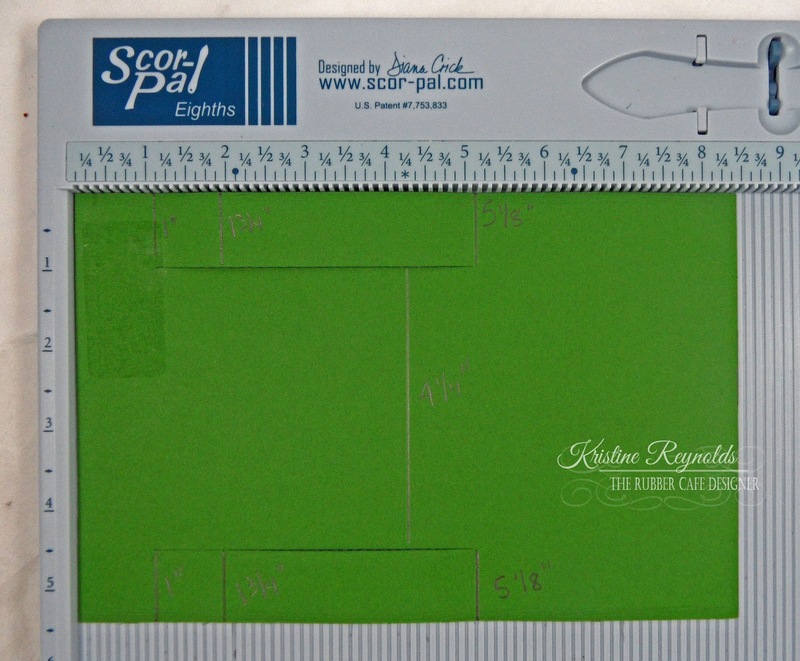 Then I cut horizontally between the 1" and the 5 1/8" marks. 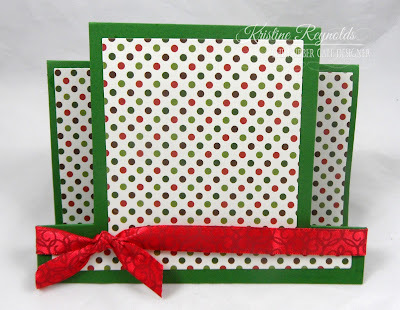 I folded the card base and covered it with patterned paper panels. 2-2 7/8" x 3/4" for the side panels. 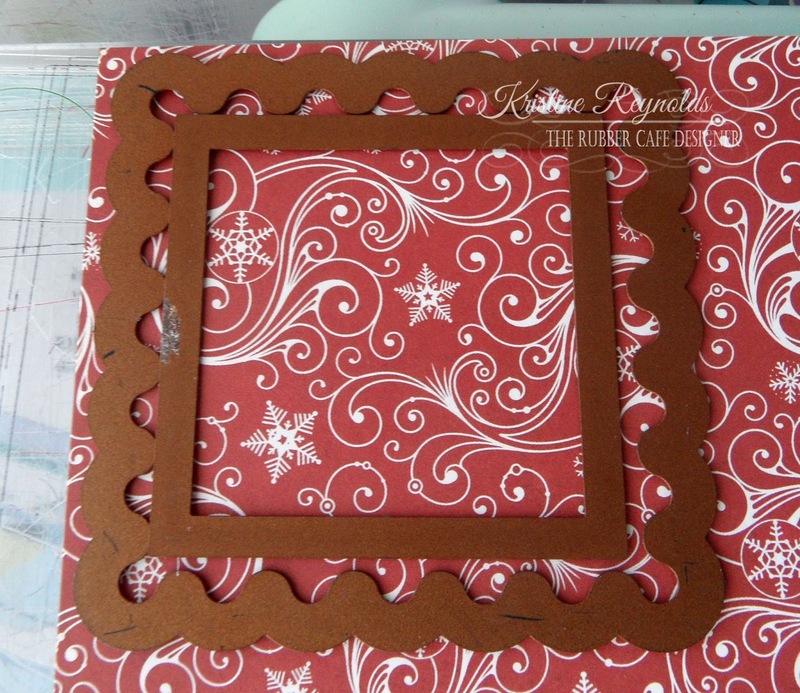 Then I tied red ribbon around the lower portion of the card. 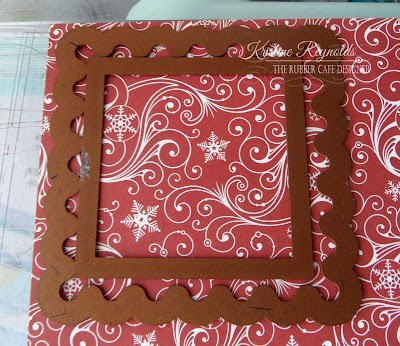 I Die cut a scalloped edge from out of patterned paper. The square die is the 3" one. Stamp the kitty on a 3" square panel of white cardstock and color with pencils. 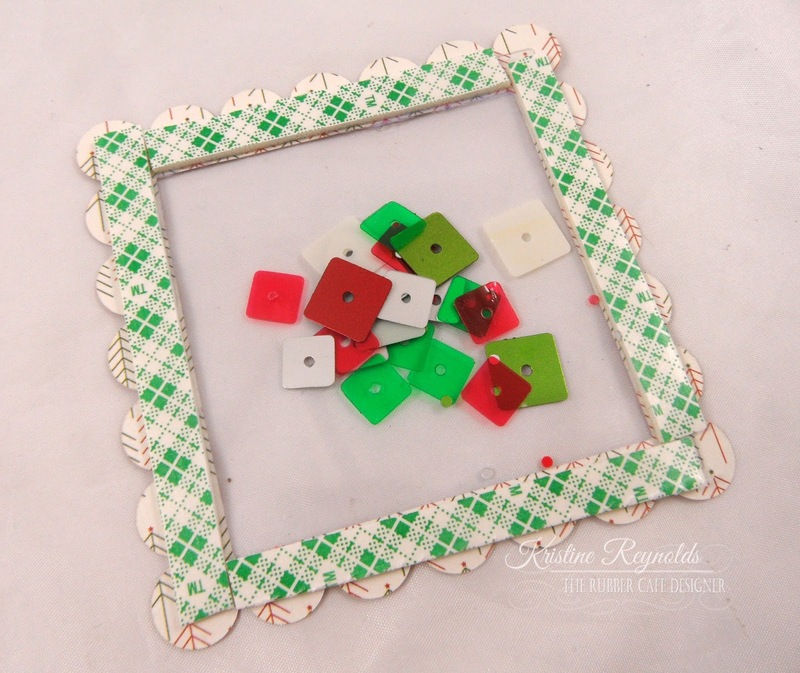 Add sequins to the inside of the "window". 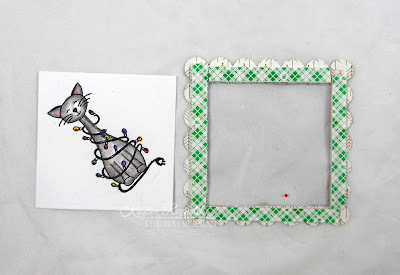 Rub a dryer sheet on the acetate and shake the sequins in a dryer sheet to help get rid of the static. Take the paper off the tape and adhere the kitty image face down to create the shaker panel. Adhere the shaker panel to the card with Scrap Happy Glue. 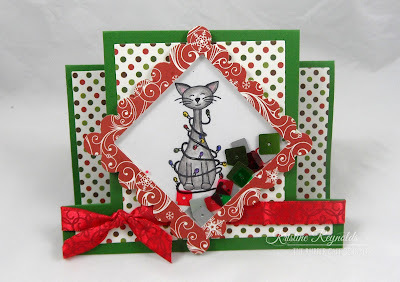 Stamp the sentiment on a white die cut circle and back with larger die cut patterned paper circles and then adhere to the card with Scrap Happy Glue. 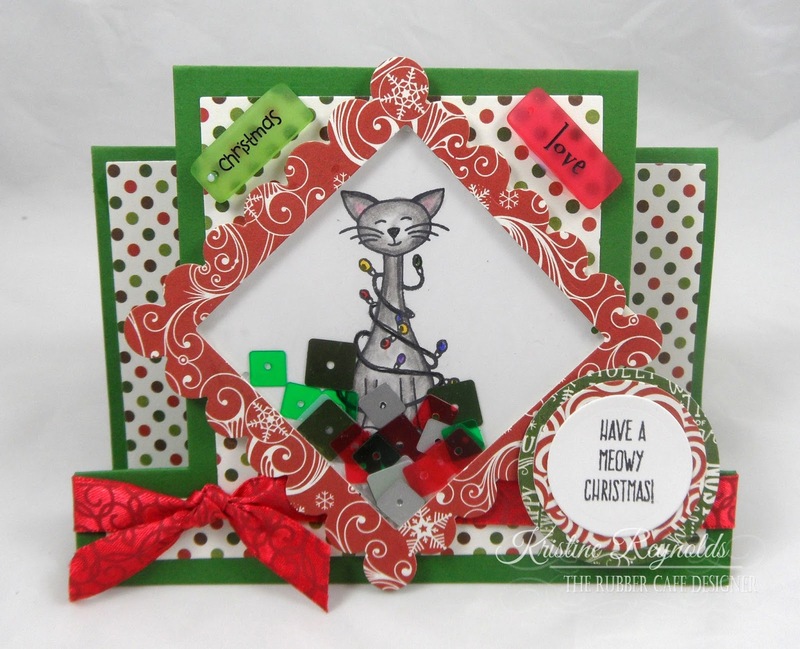 Stamps: The Rubber Cafe'-Creative Cafe' Kit:, Home for the Holidays, add on stamp set, and the bonus set.